Rosegal is an international online shopping website which sells accessories, clothing, shoes, beauty and make-up items. It offers a variety of clothing pieces for men and women which have different styles at low to high prices. Rosegal is very similar to the international online shopping websites I`ve tried in 2016. Rosegal`s manufacturer is based in China so all items purchased from them will be coming from China. I sent an e-mail about my order on March 04, 2017 and received a reply on March 17, 2017. Then, on March 22, I received my order. 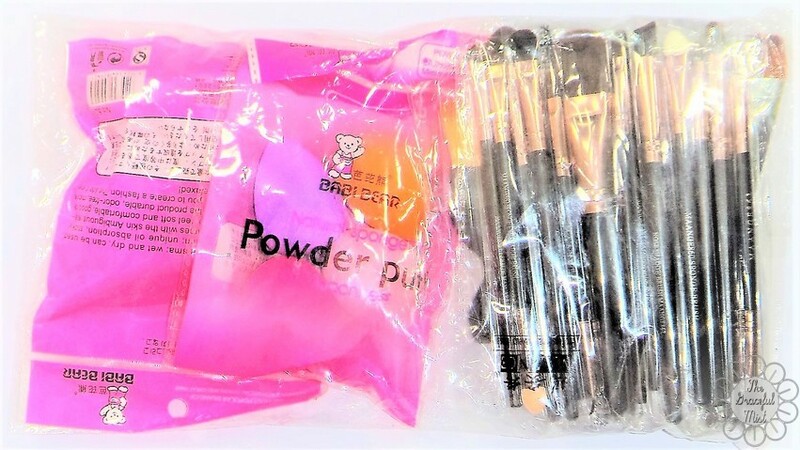 These make-up brushes and sponges was packed inside one big plastic bag. 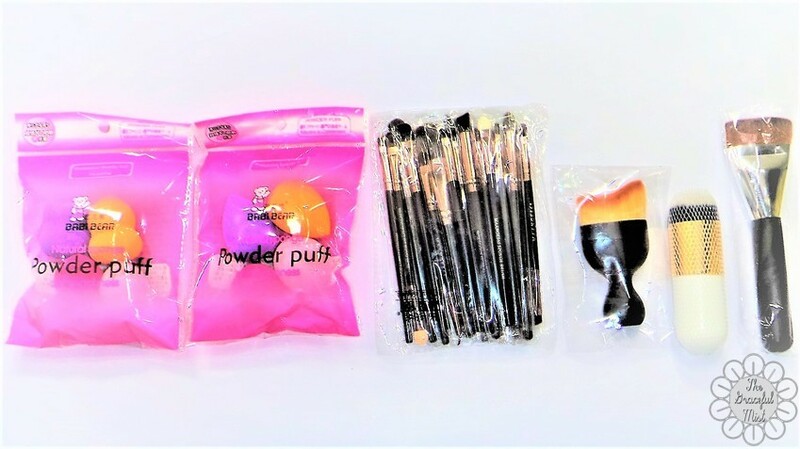 The sponges and the 3 big brushes has their own packaging or plastic while the smaller brushes were placed in just 1 plastic. 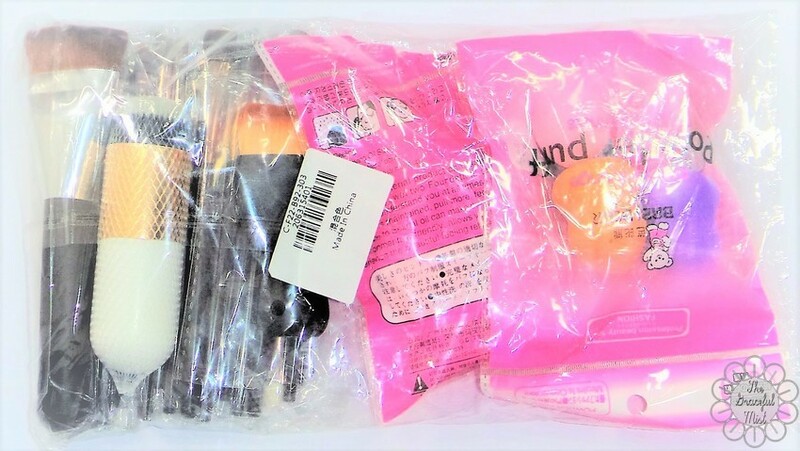 This make-up brushes set was simply packed by a plastic bag. 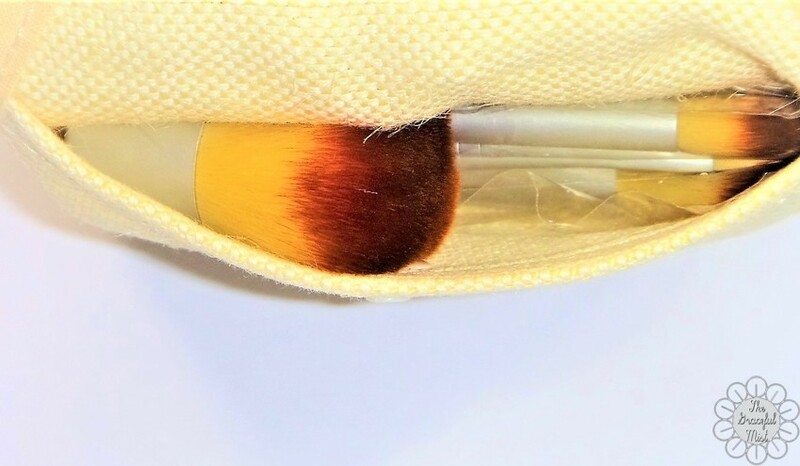 All brushes have their own plastic covering. Some brushes have a harder plastic case which is more preferable in protecting the brushes against dust and dirt because it tends to be a bit more durable. 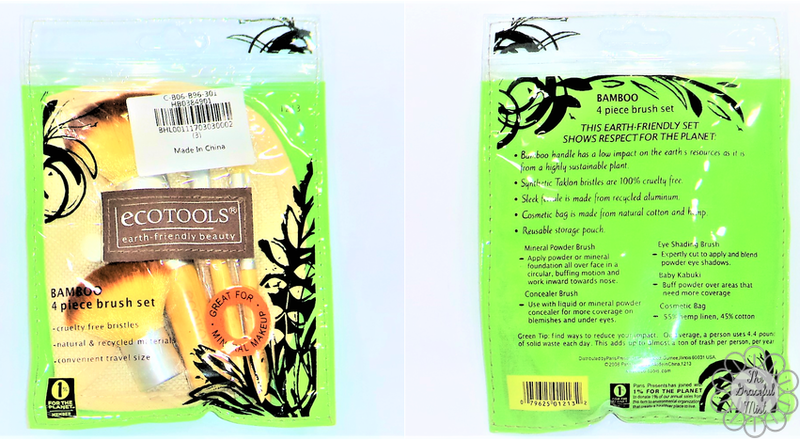 The Ecotools Make-up brushes was in a hard plastic with ziplock. The opening was at the back covered by another plastic. All brushes were soft. There weren`t any visible damage. The evening clutch was chosen because of its color and simple rectangular form. 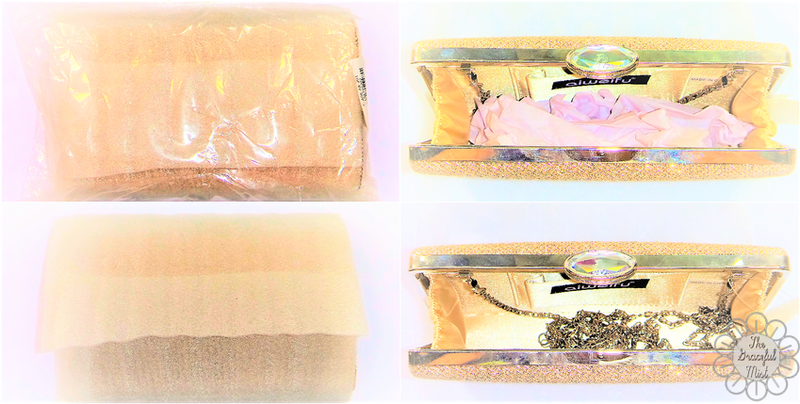 It`s light gold with touches of silver with its metal, chains and fabric glitters. 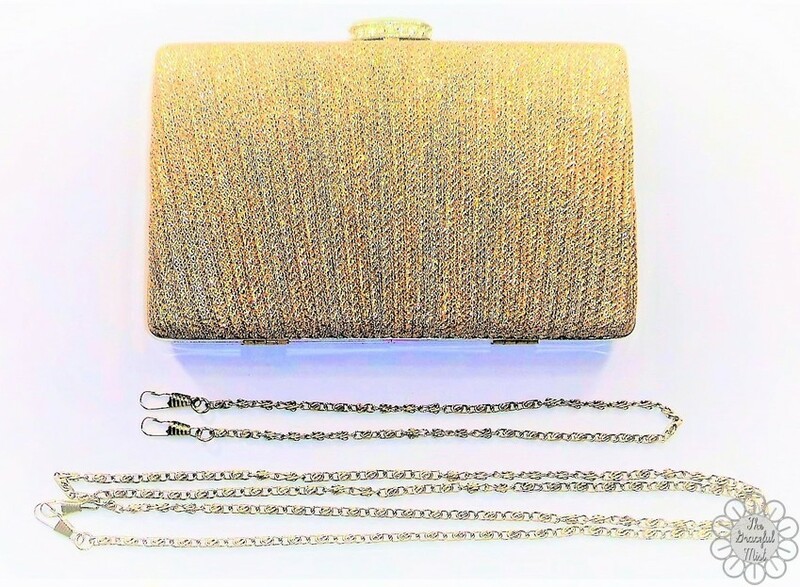 Its color is a great feature because this makes the clutch more versatile in a way that it can be worn with either a silver or gold dress at the same time it can go well with other colors of dresses. 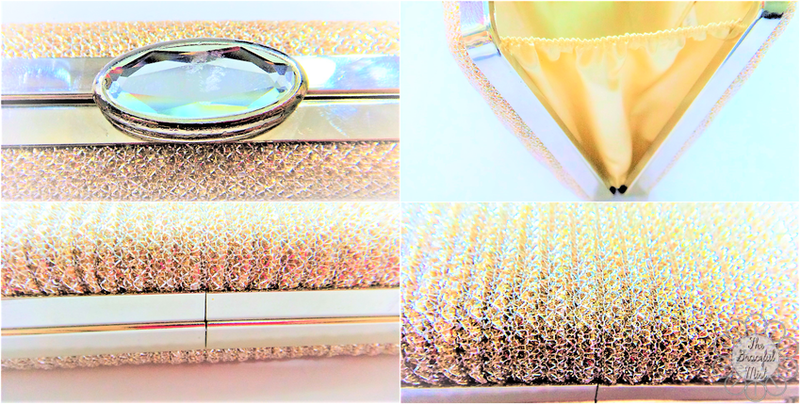 If viewed in some angles, the clutch can also look like it`s Rose Gold. 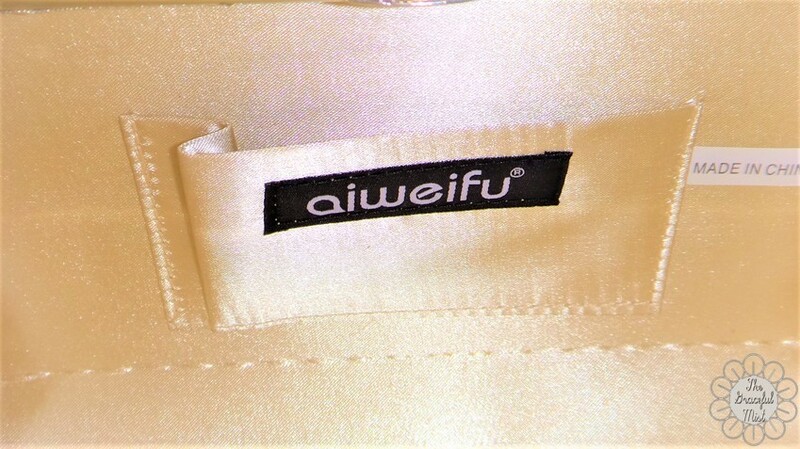 Its exterior is fabric with a hard case inside unlike some other clutches that already have a hard case as it`s exterior. It has stretchable sides which is a great feature because it gives better view of the items inside and makes arranging the items easier. The interior is a light gold silk which is quite soft and smooth. 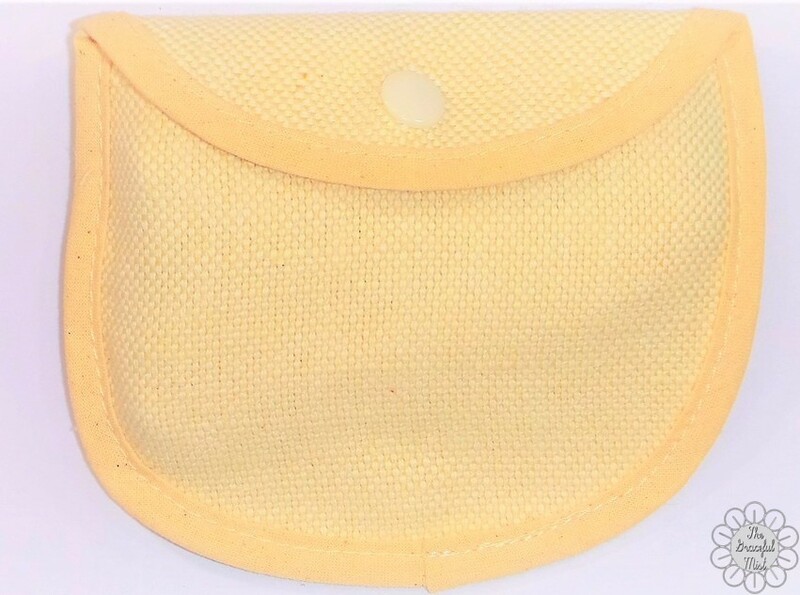 The small pocket inside would`ve been really useful only if it didn`t have uneven sides. One side is flat while the other has extra cloth for the supposedly bigger pocket. 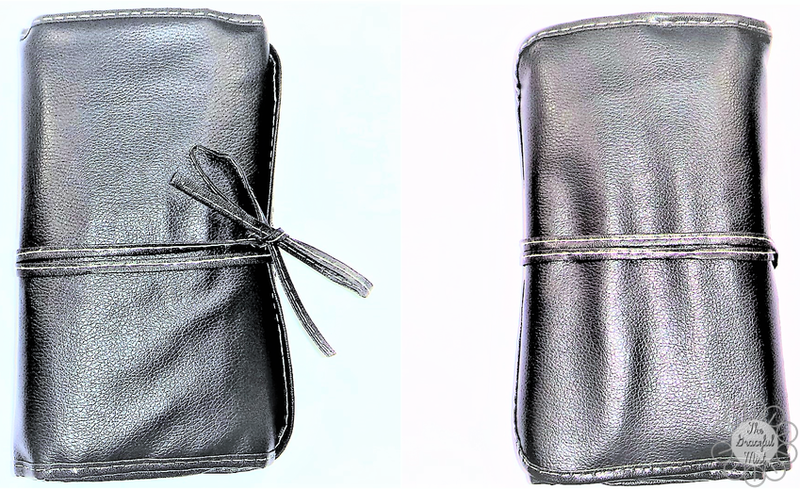 I really liked this clutch because of its thin rectangular form, versatile color and stretchable side fabrics. This would`ve been a great clutch only if the small pocket inside the clutch wasn`t uneven. The Make-up Brushes and Sponges Set contains 19 small brushes, 3 big brushes and 2 packs of face sponges. 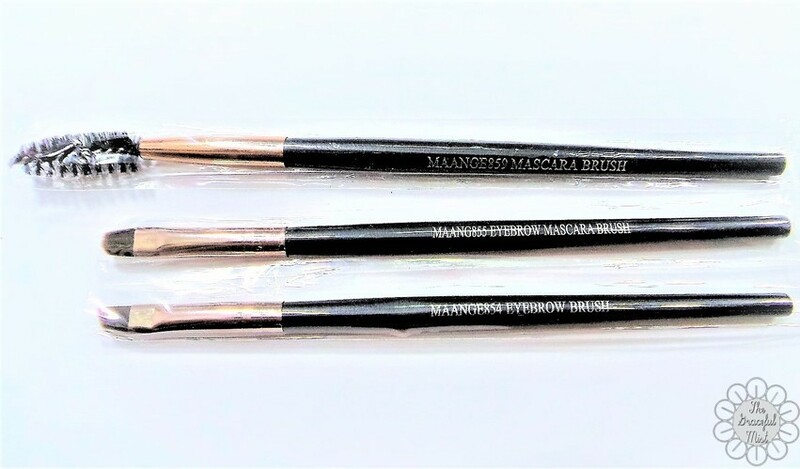 There were make-up brushes that have questionable labels like the brush with a “mascara brush” label when it doesn`t seem like a “mascara brush.”The 3 big brushes are very soft compared to the smaller brushes in this make-up brushes and sponges set. This is quite inexpensive which can provide the basic essential brushes in doing make-up. 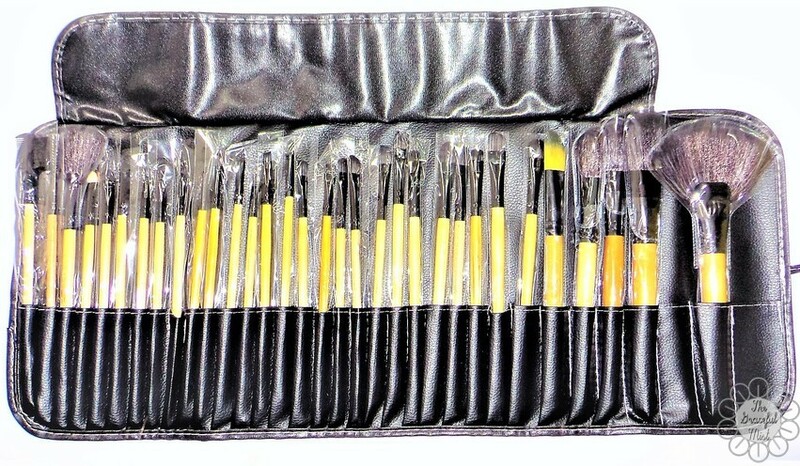 This makes this set a great package for beginners in make-up. This set is now sold out but there`s a very similar set still available at RoseGal. The make-up brushes are mostly soft and silky. The make-up brushes holder is great because it can be folded and carried easily which also makes it travel-friendly with 32 brushes. When it`s spread out, I can really see all the brushes. This specific feature is ideal in doing make-up because it allows me to find brushes more easily. Browsing around for make-up brushes at RoseGal can be quite confusing because there are so many items to choose from which are also quite similar to each other. I was supposed to get this fiber make-up brushes set but I saw something very similar to it at a cheaper price with more brushes so I ordered the latter. When the packaged arrived, the brushes didn`t seem like they`re synthetic hairs so I checked my order and this specific set that I received is actually made of goat hair. I prefer to use brushes that aren`t made of animal hairs because I`m not sure about the process as to how they were acquired. Therefore, I highly recommend to really read all the details of the products you`re going to order even if it takes a bit more time because it`s better to be more accurately informed than simply assuming that a very similar product has the same composition. The Ecotools Make-up Brushes is a travel-friendly package. The brushes are really soft although there seems to be very few strands of brush hair that`s quite falling off. 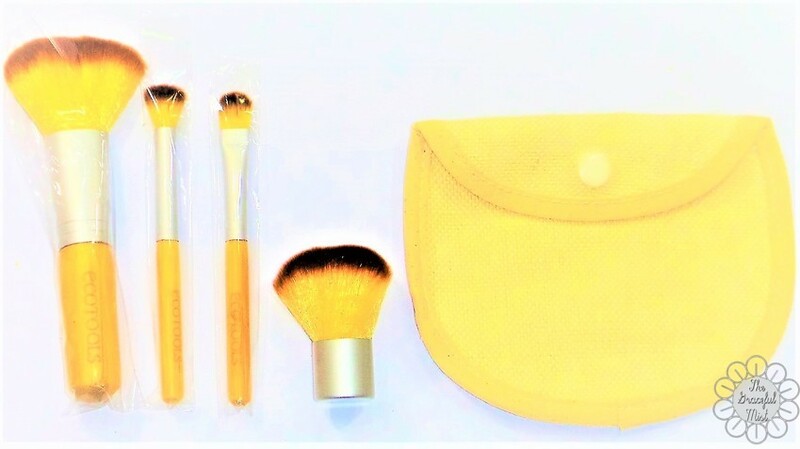 Also, the biggest brush can be kept inside the small pouch included in this set but it doesn`t seem to fit very well inside. The Kabuki brush is one of the smallest one I`ve seen. Nonetheless, I really like this set because it`s travel-size, environmentally-friendly, cruelty-free and quite inexpensive. All in all, Rosegal is a relatively good international online shopping website because they sell a variety of accessories and clothing items with low to high prices. 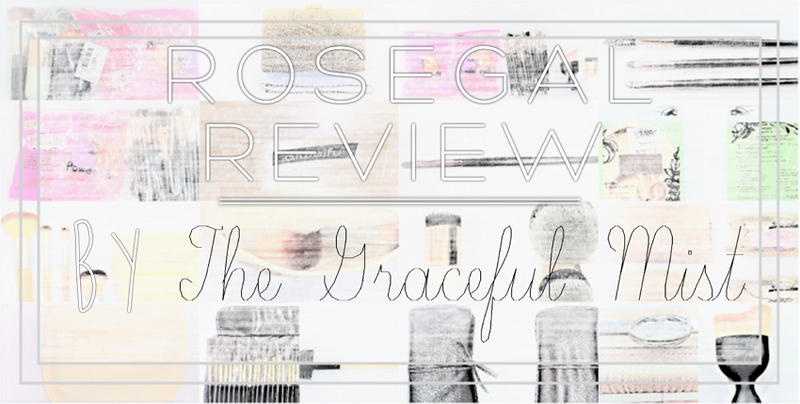 Have you shopped at RoseGal before? If yes, how was your experience? If no, what do you think of their store and items? You may share your thoughts in the comments` section below. Disclaimer: The products from RoseGal were given to me. However, all opinions in this blog post were written with utmost sincerity and honesty.